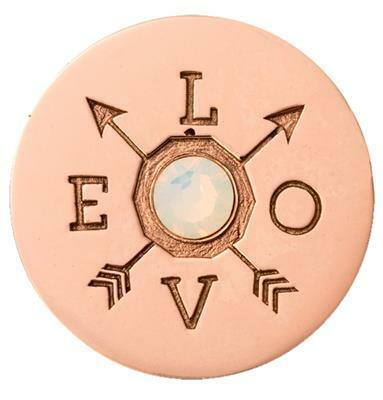 The fabulous 'Show Me Your Love' coin is cute and stylish with an engraved design in warm rose gold plating. This medium 33mm coin has a compass design engraved with the world LOVE and a white cubic zirconia at the centre. This Nikki Lissoni coin is a fun way to add a little romance to your collection whilst embracing the Lost Worlds trend.